Adil Ahmed Khan has been recently touted as one of the best young midfielders — someone who has matured fast. This Goan prodigy started playing the sport at the age of 14 in his locality. Adil’s parents were quick to note his talent and didn’t waste time in enrolling him with Vasco Sports Club. Life moved fast for Adil. He started his professional career two years later – at the age of 16 — with SESA FA where he had his first brush with the first division league. 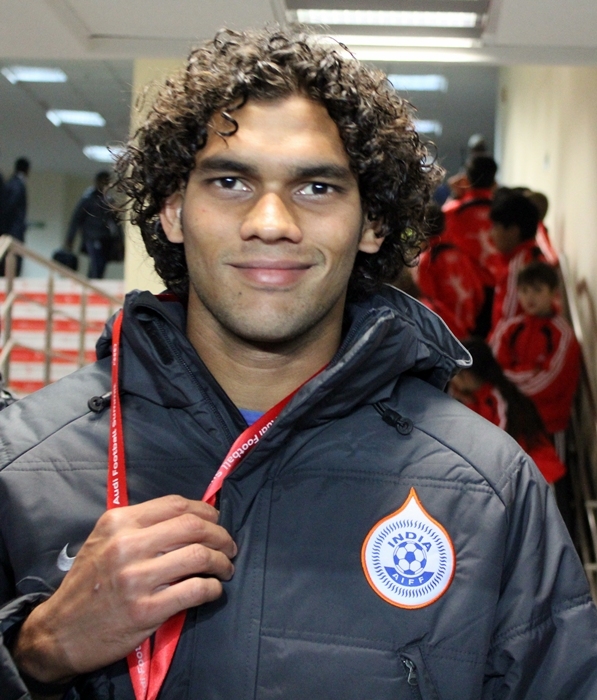 He stayed in SESA for seven years, turned a professional and then moved to Sporting Clube de Goa. For past four years he has been backbone for Sporting Clube making his mark in the I-League in the process. His efforts bore him fruit when the hard work earned him a call to the Indian National Team for the exhibition match against Bayern Munich. “It was a dream come true when I got the call. But this is just the start. I need to work harder to be a regular member,” he maintains. “If I get a chance, I’ll stick to the basics and follow the instructions. Needless to say, I’ll give my hundred percent,” he adds. “My younger brother looks upto me and so do the kids in my village. But I’m not a star. I’ve just started. I want to play.” he goes on. Meenakshi Kalyanam on 22nd Feb.
Prabhu Deva wanted to be a traffic constable when young! Media Workshop organized by Creatives World Media Academy & ICMEI in Kalka Public School.